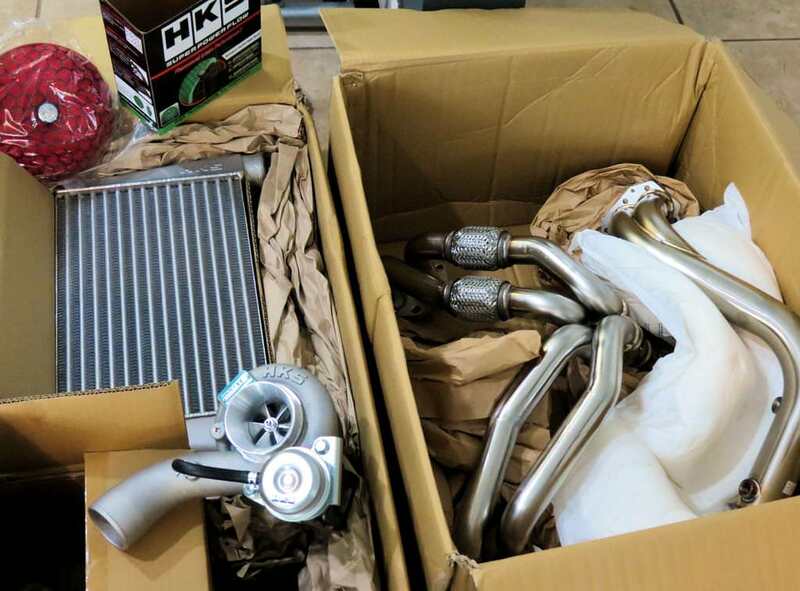 Anyone else a little excited for the HKS Turbo kit? My example wasn’t an absolute or an always statement. Re-read the posts that I quoted. They were written as absolutes. In fact, it would be odd of me to try to use an absolute to refute an absolute. Don’t you agree? Grady acknowledged the effect of efficiency on IATs in his initial post. The only thing to add to that was turbo power consumption. To say "a larger turbo achieves lower IATs" simply isn't correct. It is actually going to be wrong most of the time because people are most likely going to pick the right turbo for their application on the first attempt. So, even if it wasn't a bad example, you were still making a point that no one was arguing. Also, Grady's point was that no amount of efficiency change would allow for 6 psi to make 360 rwhp on 93 octane, and that is correct. Right. I already apologized for not making it clear or spelling out the implications. A larger turbo is a relative thing to say. Perhaps a smaller turbo would be optimum at a given psi and a larger wouldn't depending on a number of factors such as the point of maximum efficiency. I should have said a different sized turbo instead of larger, but again, the point was that 6psi is not always equal to 6psi, and the idea is that a different sized turbo could allow for improved efficiency, reduced temperatures, better flow and allow for more aggressive tuning (a different turbo, not necessarily a larger, but again, a larger is a good/common example). I don't get if you are refuting that or arguing the fine points because the bigger point is that a given psi is not inherently deterministic of power output. That was my whole point. I was arguing against one of his points--not his conclusion. I'm done here. I just got mine! Ordered on April 26th. Last edited by Raven86Project; 07-30-2018 at 04:01 PM. From local tuner's FB page where my car is at. so are there any real world updates from people that have this kit? I'll get mine dynoed in the near future. Yea that shops Dyno numbers were waaaaaay off. No corrections were put on it at all. Temperature sensor for the dyno wasn't running. And they were on stock fuel on a 98 car. Even if you go by NSW Disney Dyno numbers 300-320hp is about the max you can get out of the stock fuel system. Which this car had. There is no way in hell they got those numbers on 6PSI. Let alone a stock system. The HKS system will perform exactly the same as any other Turbo application, give or take the usual 5% in efficiency gains or losses. 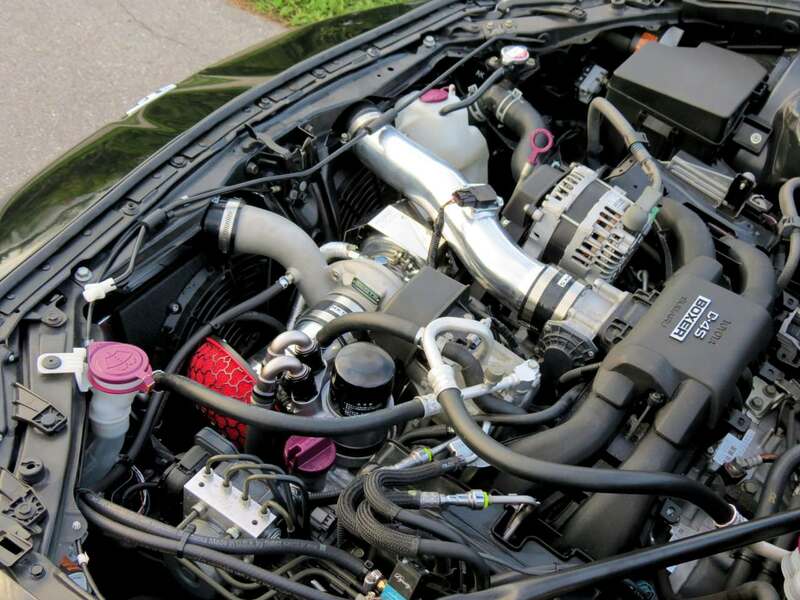 Torque curves and boost response is the difference in kits that you see. It will however be fairly good in throttle response compared to most kits by the looks of it which will be its benefit over most kits. Why do all the normally yellow coloured plastic parts look purple? Mine is mostly installed and will be tuned next week. So you finally pulled the trigger! Congrats man!!! You're not going to regret it! Your build definitely helped my decision. Other than what you have posted there isn’t a lot of information out there.